Eleven undergraduate students at St. John’s University, Jamaica, will be received into full communion with the Catholic Church, April 8, in a special campus-based liturgical ceremony at St. Thomas More Church celebrated by Auxiliary Bishop Octavio Cisneros. Out of the 11 students, two catechumens will be baptized while the remaining nine candidates will receive either their First Communion or Confirmation. 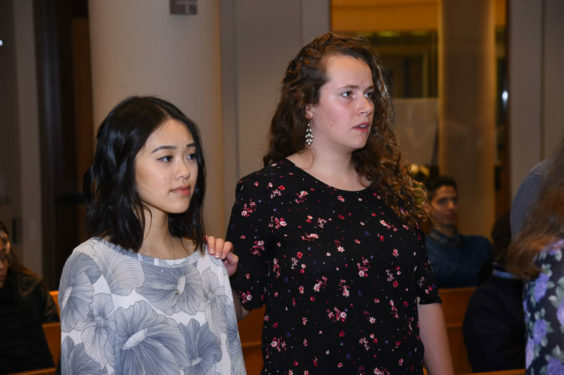 For the past year, the young adults committed to spending their “common hour” or free period during the week studying Sacred Scripture and Catechism as part of the university’s RCIA program. 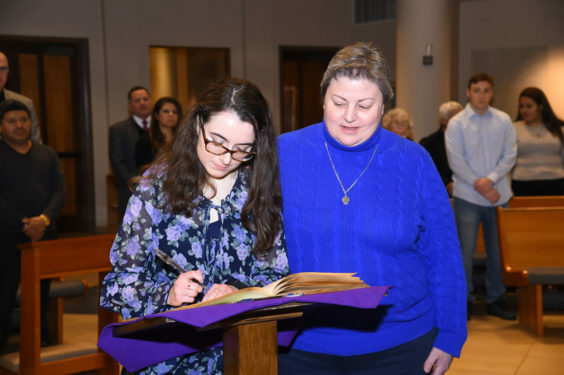 To prepare for receiving their sacraments one week after Easter, the catechumens’ Rite of Election took place at the university’s church March 4. Accepting the students’ names in the Book of Election was Father John Holliday, C.M., the campus’ chaplain. One of the RCIA candidates is based on the university’s Staten Island campus under the guidance of Father Tri Duong, C.M. The dates for the campus-based RCIA ceremonies differed from the diocesan dates. According to Gallagher, that’s because the university factored in holidays such as spring and Easter breaks when catechumens who aren’t based in New York might return to their home state or city. 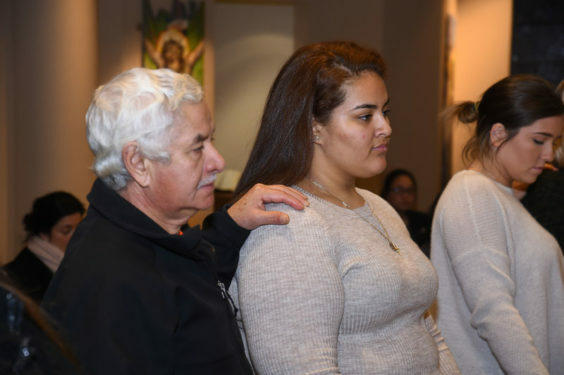 He added that while the catechumens and their home base may differ, their desires to join the faith within the St. John’s campus ministry community united them to say yes to one Catholic and Apostolic Church.